How to have a successful app? Apps have become an integral part of our life. Today even for our smallest of needs we are using apps. Thus there is no doubt about the importance of apps for us. Because of the growing competition in the app industry, it has become even more important that you have an app that is loved by the users. But ensuring that your app is well accepted is not something you can guarantee. You will have to be in constant touch with your mobile application development company to make sure that they are on the same page as you when it comes to strategizing ways to make your app a success. There are different ways by which you can stand ahead of the competition and make your app a hit among the users. Here are some of them. Understand user expectations: App performance issue is the main problem that users encounter and 86% of respondents admitted uninstalling an app because of performance issues, 38% tried another app when faced with a problem, 34% stopped using the app and 19% complained to family and friends, according to the App Dynamics report. You need to focus your attention on what the users are expecting from your app. Offer Better Personalization: Pamper your users with personalized content. Personalization is about offering tailored content to users on the basis of their interests, location, usage behavior, and more. Give users the liberty to set up their preferences at the start, and serve them with customized content. An app that is easy to use can never fail to impress the users. So take some efforts to develop an app that the users can easily access. Users will stick to your app if they can easily cross the initial hurdles that come along with the apps. With endless options to get distracted from and the short attention spans of users, it is not a surprise that users lose interest in apps very quickly. Thus it is recommended to focus on a few key or new features and make them as good as they can possibly be. To produce a successful app, you need to start with the user experience. Users are the people who can make your app rule at the top or fall down to the very bottom, so make your users happy and satisfied by giving them an unforgettable experience. With analytics, you can track your app performance and identify what features are being used and neglected. You can also maintain data which gives you valuable insights about the app adoption rate by users and allows you to iterate features based on your findings. With analytics in place, you can identify trends and can further enhance the user experience and drive more downloads. Design your app with new features. Apps can use many gestures to offer innovative functionality that can help users perform the task better. For example, an app can let users move to a next or previous step using the swipe gesture. Speed definitely matters to everyone. Even shaving a fraction of a second off the response time improves user satisfaction and makes them more likely to use your app more. Unless your app is not designed properly, how can it be expected to work properly? Take your time to select the right tools for developing the app and the chances to get the exact type of app the users need, will increase. People use apps for getting an instant response. Thus an app that operates in the least possible time, is what they look for. Make your app responsive to have it in their favorite list. These are just some of the ways that you can use for having an app that becomes a success amongst the users in no time. 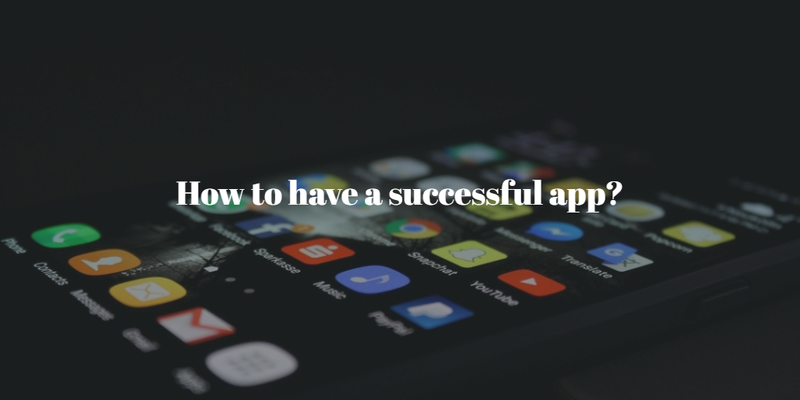 You will have to make a constant effort in making your app a success all before the launch while making it, and after. Bio: Sakshi Buttan is currently managing social media at ChromeInfotech, one of the leading app development companies. When not scrolling around tech news, you can find her with her earphones on with Enrique. Which eCommerce Platform is Right for your Business?